Dr Matthew Rose-Zerilli is a Senior Research Fellow within Cancer Sciences at the University of Southampton. As a cancer geneticist, Dr Rose-Zerilli is interested in the evolutionary history of cancer at the single-cell level, as a way to understand the differences in therapeutic response and clinical outcome between patients. Dr Rose-Zerilli’s Linkedin and ResearchGate profiles. 2018-present Senior Research Fellow, University of Southampton. 2016-present John Goldman Fellow for Future Science. 2014-present Faculty of Medicine Career Track Fellow, University of Southampton. 2014-2016 KKLF Post-Doctoral Researcher, Cancer Sciences, University of Southampton. 2015-present Honorary Contract WISH Laboratory SCBR, University Hospital Southampton. 2015-present Honorary Contract Pathology Department, Royal Bournemouth & Christchurch Hospital NHS Foundation Trust. 2014-2015 Visiting worker, Institute of Cancer Research, Sutton, London. 2011-2014 KKLF Post-Doctoral Researcher, Cancer Sciences, University of Southampton. 2010-2011 CRUK Post-Doctoral Researcher, Cancer Sciences, University of Southampton. 2006-2009 PhD in Respiratory Genetics. Infection, Inflammation and Repair Division, University of Southampton. 2003-2006 Research Assistant, Human Genetics Division, University of Southampton. BSc (Hons) Biochemistry, University of Portsmouth (2002). PhD Genetics, University of Southampton (2010). 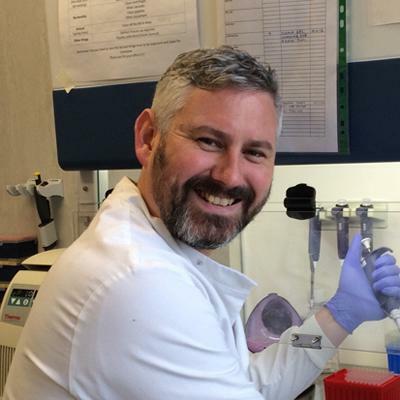 My research is focussed in the understanding of both the evolutionary processes driving cancer progression and the multicellular ecosystem of tumour microenvironments. My group is exploiting the power of single-cell analyses to understand more about the evolution of cancer by investigating the interaction between different mutations in individual cancer cells. The accumulation of mutation generates phenotypic variability and natural selection leads to adaptions in cancer cell phenotypes, cooperation with other cancer cells and host cells in the cancer ecosystem to ensure the survival and growth of cancer. The goal of my research is to identify the key cancer cell populations driving disease progression with the ultimate aim of providing improved clinical prognoses and directing appropriate therapeutic modalities. Member of the European Research Initiative in CLL (ERIC; www.ericll.org) and part of the working group on establishing and harmonizing novel mutation technologies in CLL. Nature, Human Mutation, BMC Research Notes, Scientific Reports and Cancer Genetics. Single-cell profiling of Chronic Lymphocytic Leukaemia to understand cancer intra-tumoural heterogeneity and evolution. We are on the brink of a revolution in the management of cancer, heralded by the promise of targeted treatments. For this to be successful it has to overcome the inherent intra-tumour genetic heterogeneity that we observe in cancer patients. 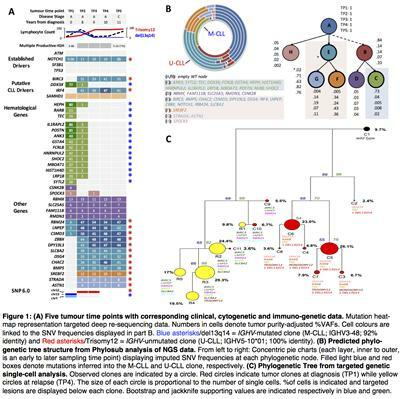 This heterogeneity provides pools of cancer cells with a multitude of genetic characteristics. Clinical intervention, such as treatment will impose a selective pressure and with Darwinian selection, cells with a survival/growth advantage will emerge to re-propagate the tumour. This research aims to study this process in Chronic Lymphocytic Leukaemia (CLL), as it represents a model system to determine how best it can be overcome. CLL is ideal because samples are available throughout its protracted natural history, that is defined by evolution from indolent to progressive disease, therapy and relapse. The work will map genetic lesions into single cells, thereby allowing the study of clonal dynamics during the course of cancer. 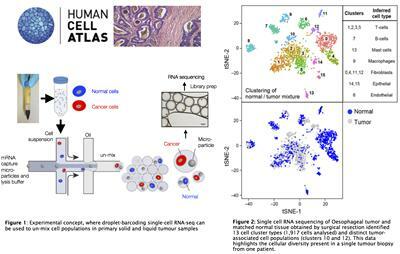 Human Cell Atlas - 'Standardization of Single-Cell and Single-Nucleus RNA-seq Protocols for Tumours' (START). The Human Cell Atlas (HCA) is a global collaboration to map and characterise all cells in a healthy human body: cell types, numbers, locations, relationships, and molecular components. Once complete, it will be a fundamental resource for scientists, allowing them to better understand how healthy cells work, and what goes wrong when disease strikes. The START project will lay groundwork for the HCA by determining best practices for tissue processing and single-cell profiling for different cancer-affected tissues. We will compare, evaluate and harmonize approaches across differing platforms at seven leading research centres in the US, Canada and Europe. Our project will compare methods for single-cell RNA-seq and single-nuclei RNA-seq, evaluating data reproducibility and will generate benchmark datasets and novel computational approaches. Dr Rose-Zerilli and his team will work on standardizing sample processing and single cell analysis of oesophageal and breast tissue.